Agreed that this was one of your best. The Elmer Fudd reference and the um, um, budd, umm, um buddee, stutter was so hilarious it made my day. Here in Illinois, we call our senior senator “Lying Sack of Durbin”. 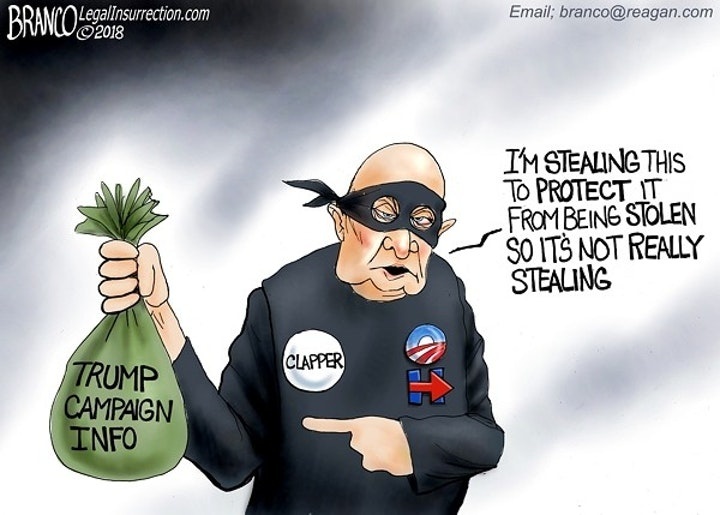 I think we can bestow “Lying Sack of Clapper” on this piece of deep state garbage. Both he and Brennan seem to be the psychopathic brains of the coup attempt. You are right on the money about the plane tickets. Both of these treasonous scumbags are so arrogant, though, that they probably truly believe they are untouchable. But as you say, like cornered weasels, they are starting to realize that the old corrupt system may not work for them and are grimacing and teeth baring. I think the color blaze orange will go well with the sheen of his bald head and distract from his fetal alcohol ears. He should be in a cell with an MS 13 assassin that he was too busy plotting a coup attempt to prevent from getting into the country. Thanks, Mandy, for a good laugh! Your assessment was on target! I agree with totally. Thanks! Plus, dude is literally talking out of the sides of his mouth. Can’t even keep his mouth straight when spewing the lies. Lol.. yes he’s probably the most obvious example I’ve seen with that. As soon as I heard him stuttering all I could hear in my head was you going ” ergh, argh, um, um, ergh” and to hear you do it hear was perfect… ???????? I giggled throughout your analysis. Doesn’t Clapper just look like a fallen being? Take this corrupted honcho, squeeze ’em hard, and watch the singing begin. This guy is weak, pliable: another useful Obama idiot. Other than that, he’s just a friggin’ creep. One of your best. We must remember that the exposure of all these reprobates from Brennan to Clappper to Comer, Yates and all of Barry Soetero’ s pals would never had happened if it wasn’t for Admiral Rodgers performing an audit of unusual and numerous intelligence enquiries into Trump. Clapped and Brennan wanted Rodgers fired for telling the VISA court what he discovered, by then it couldn’t be stopped. Adm. Rodgers then personally went to Trump towers to inform the President elec That why Trump Tower was evacuated the next day to New Jersey. This patriot is the unsung hero responsible for uncovering these plots. For me, just seeing anyone who speaks kindly or shows support for anyone of theses evil people are the.selves evil deserving hate and condemnation without any possibility of redemption! I think we will know the war is over and freedom has won is when the view will be cancelled. It is horrible! At least I believe Clapper is human. A really really awful human being, but still human. Find Clapper fascinating. This man chosen as Barry’s chief (DNI) of all Intel? Amazing. His face is like rubber, so much there. And “Gollum” like, he can speak out of both sides of his mouth, quickly flipping sides. General in AIr Force and former military & space Intel. Spooky. Obviously he and Comey feel the need to blitz the false sheeple narrative – books, interviews – can no longer trust the HilBarrys and FBI/ M16 to do it right. And then the TV Land of Oz capital “View” visits for female sheeples. More interviews, pulleeze! The slope of his shoulders has shifted downward since speaking on Jake Tapper shows. Gollum: “Trump took my precious”. When is Trey Gowdy going to replace Sessions so we can get some answers? The important thing is not whether we broke the law….but whether Trump committed a NON crime of colusion with the Russians. So we are all gonna just beleive this crap? So stupid. I dont like him at all. I watched this episode of the View. First word that came to mind about this guy was SKETCHY. Glad you comfirmed what I was feeling. Every time I see Clapper, I get an image – does Clapper look a tad like Dobby in Harry Potter? 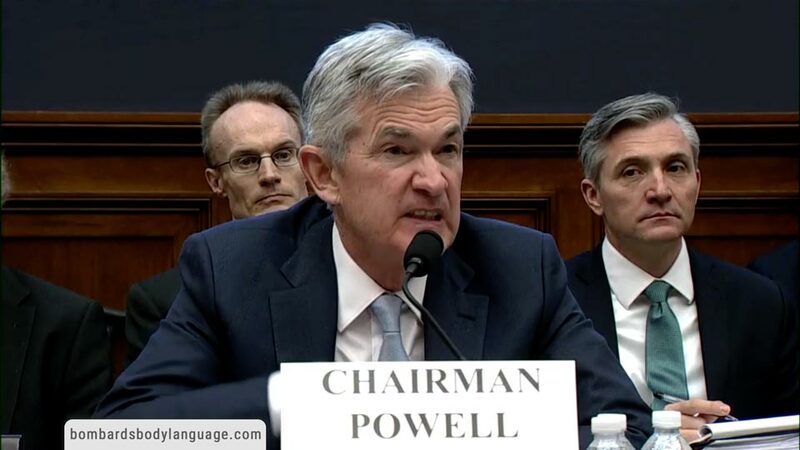 Every time I see him I get this image. I am not trying to be disrespectful, goodness knows I could pass for Bilbo Baggins’ relative, but I just see this every time I see Clapper. Great analysis! Bravo X 100! I was so hoping you would do this interview. 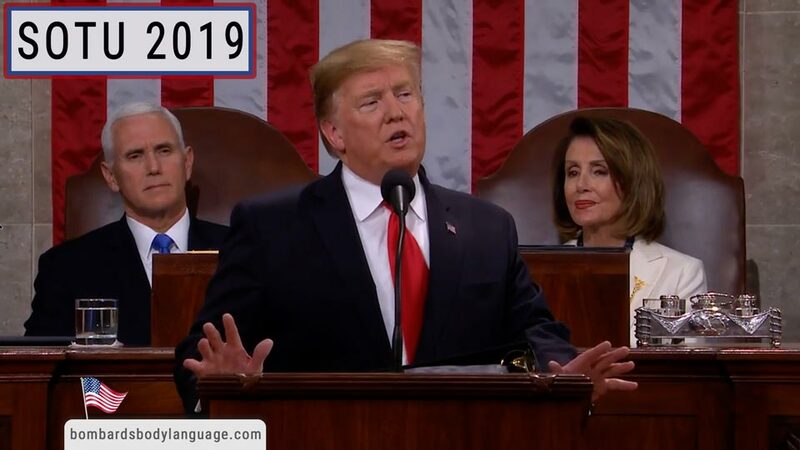 The one part that I would love to see is when the blond woman asks questions, and Clapper blabbers about “I was thinking something else when I answered.” Kudos on a superb analysis… again!! Yes I would have liked to have seen that to! I also find it interesting that all these ex. intelligence folks all seem to want to write a book to defend their conduct. I’m sure Clapper goes to great lengths in his book to explain “I was thinking something else when I answered” and therefore didn’t perjure himself. Perhaps general Flynn should use that same excuse and the FBI will drop the charges..
You know you’re weak when the view makes you sweat. He looks like Yoda at an angle….very large dome and big ears. Hmmm did Clappy “help” Hillary this way? Those View girls are going to have a meltdown especially Joy when he jumps on the plane. That show will cease to exist. Well done Mandy. This is quite revealing. Thank you!